Next month Wider Shipyard will unveil their latest launch, 165-foot superyacht CECILIA, at the Monaco Yacht Show, September 26-29. Following the launch of superyacht CECILIA extensive tests and sea trials have taken place on board. The WIDER engineering department and her delivery crew have reported that the results are no less than astounding. 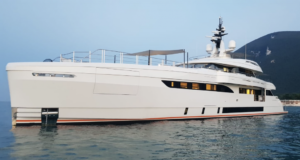 WIDER superyachts differentiate themselves from other vessels in the same category. First and foremost is the innovative application of an advanced diesel electric system on board. The purpose of this is to reduce noise and vibration, while also freeing up more space for the owner’s use. Early feedback indicates that noise and vibration levels are even lower than forecast. 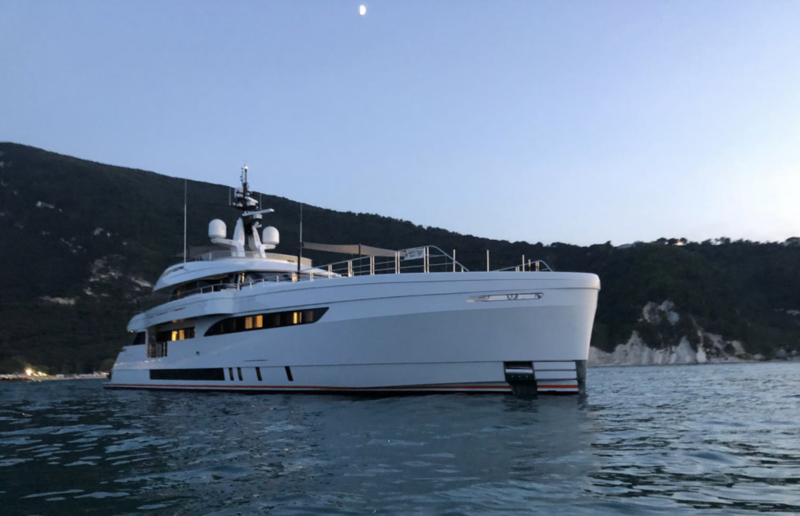 This is due in part to an evolution of the engineering that has built upon technologies of her smaller sister, the 150’ BARTALI. CECILIA has also undergone extensive tests of her stabilization system, with outstanding results for stability of the vessel both at anchor and underway. An exciting feature of the 165′ superyacht is hidden away in the cavernous aft garage. It is U-Boat Worx SYS 3 personal submarine. The launch and retrieval of the sub was also tested during trials and succeeded perfectly. Owners and guests are sure to have fun and excitement cruising on board this sensational superyacht. 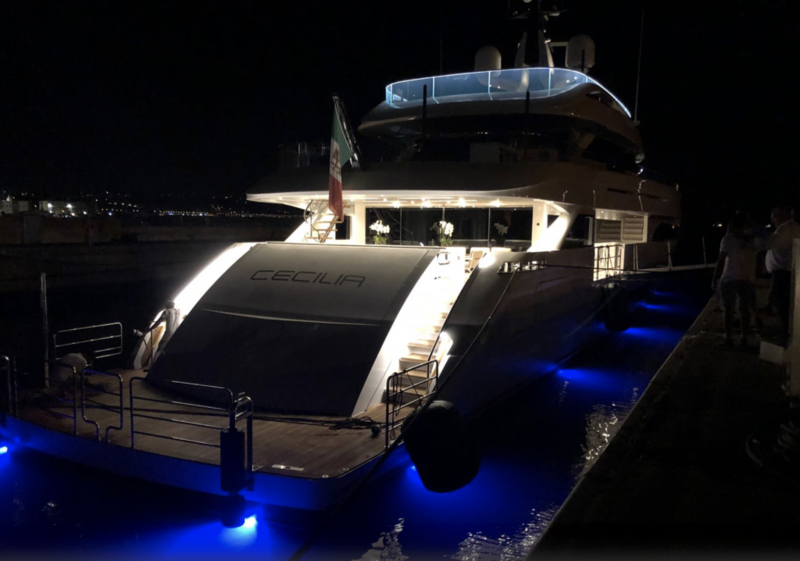 Superyacht CECILIA will be berthed in front of the Monaco Yacht Club on Jetée Lucciana L03. Guests on board will be impressed by many notable features. There is a sizeable swimming pool in the transom, sophisticated bridge control panel, and sumptuous interior decor. 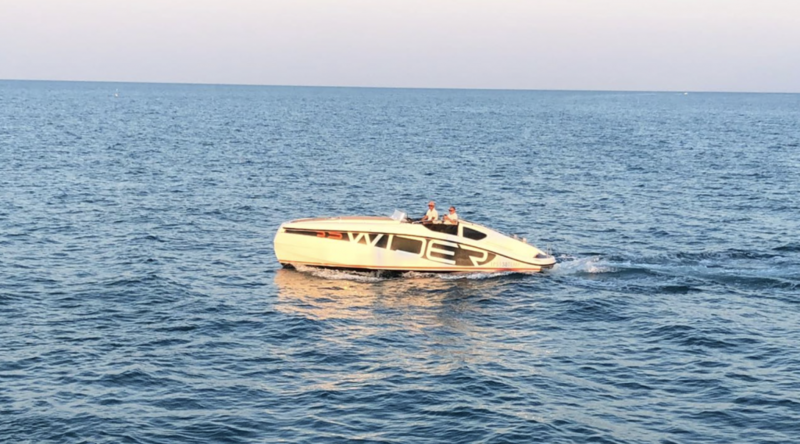 The WIDER team is especially enthusiastic about the capacity that this yacht has for accessories and water toys. Not only can the WIDER 165 accommodate a 6m tender in the transom garage, but she has ample space for the personal submarine too. 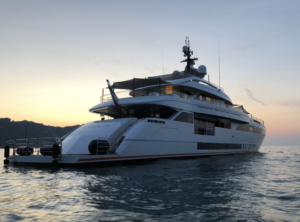 Superyacht CECILIA has a touch and go helipad on the bow, a sauna, a gymnasium, and a host of areas that are just perfect for entertaining guests. Superyacht CECILIA will be available for an inspection tour by appointment. 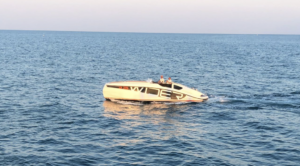 Contact Select Yachts for further information.